Yangzijiang Shipbuilding said on Friday that its wholly owned subsidiary, Jiangsu Yangzijiang Shipbuilding, or JYSCO, bought the 40 percent of Huayuan Logistics it didn’t already own for 119.30 million yuan (S$23.97 million or US$17.47 million). Huayuan Logistics, which is based in Nanjing City in China, is primarily involved in leasing and chartering vessels and also owns a cargo transportation company, Shanghai Huayuan Shipping, it said in a filing to SGX after the market close on Friday. ST Engineering said on Friday that its Aerospace sector signed an agreement to expand its contract to maintain Jet Airways’ and its subsidiary JetLite’s Boeing 737NG fleet. The contract is to provide CFM56-7B engine maintenance, repair and overhaul (MRO) services for the carriers’ entire fleet of 80 737NGs, it said in a filing to SGX on Friday. Sembcorp Industries said on Friday that it completed its equity injection of A$5 million, or around S$5 million, into Vellocet Clean Energy (VCE), taking a 77.83 percent stake of the company’s enlarged share capital, through Sembcorp Energy Australia. VCE provides clean energy services to businesses in Australia, specializing in developing behind-the-meter embedded generation and microgrids for large energy consumers, and mid-sized front-of-meter power supply and generation, it said in a filing to SGX on Friday. Sembcorp Industries said on Friday that it bought back 200,000 shares in the market at S$2.7593 each for a total consideration including other costs of S$552,524. Since the April 2018 beginning of the buyback mandate, Sembcorp Industries has bought back 1.05 million shares, or 0.059 percent of the issued shares excluding treasury shares at the mandate’s commencement, it said in a filing to SGX after the market close on Friday. ST Engineering said on Friday that it dissolved a U.S. subsidiary, IV Phoenix Group, as part of the company’s ongoing effort to streamline its corporate structure. The move isn’t expected to have a material impact on ST Engineering’s consolidated net tangible assets per share and earnings per share for the current financial year, it said in a filing to SGX after the market close on Friday. In a separate filing on Friday, ST Engineering said it amalgamated ST Kinetics Integrated Engineering with ST Engineering Land Systems, which is the surviving entity after the amalgamation. That was part of its effort to streamline and consolidate resources in its Land Systems segment, it said. AsiaPhos said on Friday that it has been unable to reach an amicable settlement via negotiation with the China government over the non-renewal of mining and exploration rights for Mine 1 and Mine 2. The rights weren’t renewed because the Panda Park and the Mianzhu government requested an undertaking to vacate the mining site in the JiuDingshan Nature Reserve, it said in a filing to SGX after the market close on Friday. AsiaPhos’ lawyers, King and Spalding LLP, have written to the Chinese government to notify them that the country is in breach of its obligations under the China-Singapore Bilateral Investment Treaty and the ASEAN-China Investment Agreement, it said, adding that it requested negotiations under those agreements. “Should China fail to respond to this request or such discussions fail to result in an amicable resolution of the dispute within six months from 31 August 2018, the group reserve its rights to submit the dispute at that time to international arbitration,” the filing said. CapitaLand said on Friday that it bought back 937,000 shares in the market at S$3.43 each for a total consideration including other costs of S$3.22 million. Since the April 2018 beginning of the buyback mandate, CapitaLand has bought back 38,074,900 shares, or 0.91 percent of the issued shares excluding treasury shares at the start of the mandate, it said in a filing to SGX after the market close on Friday. City Developments said on Friday that it bought back 100,000 shares in the market at S$9.24 to S$9.27 each for a total consideration including other costs of S$928,146. Since the April 2018 start of the buyback mandate, City Developments has bought back 1 million shares, or 0.11 percent of the issued shares excluding treasury shares at the beginning of the mandate, it said in a filing to SGX after the market close on Friday. Wilmar International said on Friday that Darwin Indigo will be appointed country head for Indonesia, leading the company’s operations there, assuming the role vacated by Hendri Saksti, whose resignation took effect on Friday. Indigo has serviced in several roles at Wilmar since 2009, it said in a filing to SGX after the market close on Friday. Yangzijiang Shipbuilding said on Friday that its wholly owned subsidiary Jiangsu New Yangzi Shipbuilding on 8 August had incorporated a new subsidiary in Jiujiang city, Jiangxi province in China called Jiujiang Ruiyang Marine Import and Export. Jiujiang Ruiyang Marine Import and Export will have a registered capital of 100 million yuan and will provide services to shipbuilders to facilitate purchases of shipbuilding-related marine equipment as well as the sale and export of vessels, it said in a filing to SGX after the market close on Friday. The incorporation of Ruiyang was funded via internal resources and wasn’t expected to have a significant impact on Yangzijiang’s net tangible assets and earnings per share for the current financial year, it said. Stamford Land issued a letter to deny allegations about its annual general meeting, which were raised by a shareholder in a Facebook post and were later republished as a letter to the editor of the Business Times, it said in a filing to SGX after the market close on Friday. The Facebook post was published on 27 July, while the letter to the Business Times’ editor was published on 31 July, and was titled “Stamford Land board’s high-handed conduct at AGM leaves bitter taste,” it noted. “We would like to assure shareholders that whatever had been stated in the Facebook Post and BT Letter does not factually represent what had transpired at the 2018 AGM,” the company said. Sabana Shariah Compliant Industrial REIT’s manager said on Friday that it issued a notice of termination to the tenant of 10 Changi South Street 2 in Singapore, which is currently leased to Adviva Distribution, due to rental arrears in the sum of S$2.14 million. 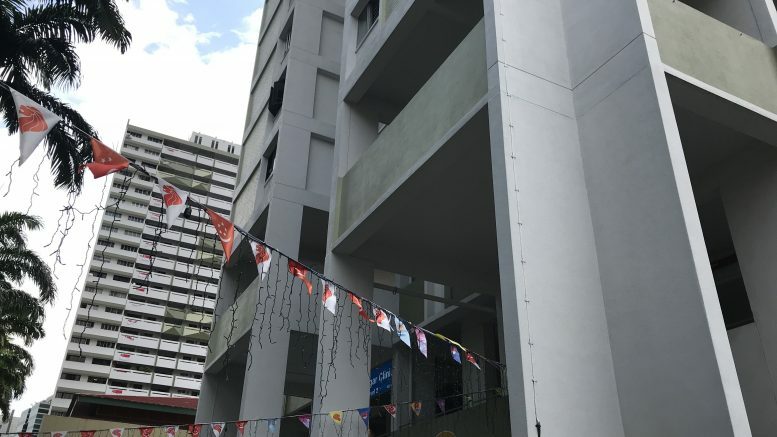 Sabana REIT intends to offset the outstanding rental arrears and damages against the total monies of S$3,58 million it holds, comprising the security deposit provided by the tenant and other amounts that may be payable to the tenant for works done on the property, it said in a filing to SGX on Friday. The property contributed around 6.5 percent of the REIT’s gross revenue for the second quarter, and if no replacement tenant is found, it could have a negative impact on its distribution per unit in the fourth quarter, it said. It noted the lease agreement dated from 15 December 2014 and was supplemented by a supplemental lease agreement dated 30 November 2017. Cromwell European REIT’s manager said on Friday that Philip Levinson has ceased to be the CEO and executive director of Cromwell EREIT Management, with his last day of service on 2 September, instead of the 31 August previously announced. Levinson, age 54, has resigned to pursue other business interests, including advisory services to the Cromwell Property Group, the filing to SGX after the market close on Friday said. A new CEO and executive director will be appointed in early September, it said. CH Offshore said on Friday that James William Noe, its CEO and executive director, has left the roles effective on Friday to pursue other career interests. Noe took the role in July of 2015, it said in a filing to SGX after the market close on Friday. Baker Technology said on Friday that its deemed interest in CH Offshore, held through wholly owned subsidiary BT Investment (BTI), has increased to 375,650,150 shares, or around 53.29 percent of the total number of shares, up from 53.07 percent previously. That was after the transfer and settlement on Friday of a total 1,593,723 offer shares tendered in acceptance of its mandatory unconditional cash offer at S$0.13 a share between 22 August and 27 August, it said in a filing to SGX after the market close on Friday. It added that it has received further valid acceptances of around another 0.38 percent of CH Offshore’s shares between 28 August and the close of business on Friday, but which have yet to be settled. The offer will close at 5:30 P.M. SGT on 7 September, it said. Y Ventures said on Friday that it appointed Joshua Huang Thien En as chief financial officer after Chin Ngai Sung left the role to pursue other career opportunities, effective 1 September. Huang had been head of Y Venture’s investment strategy from April to August of this year and prior to that was a manager of business development at Sembcorp Development, it said in a filing to SGX after the market close on Friday. Frasers Property said on Friday that its wholly owned subsidiaries Frasers property Ventures I and Frasers Property Ventures II have completed the subscription of shares in JustGroup Holdings and and the entry into a joint venture subscription arrangement with a wholly owned subsidiary of GIC and JustGroup Holdings. After the completion of the deal, Frasers Property holds 13.2 percent of the voting rights of JustGroup Holdings and 15.3 percent of the issued and paid-up capital of the joint venture company, it said in a filing to SGX after the market close on Friday. Frasers Commercial Asset Management, the manager of Frasers Commercial Trust, said on Friday that the sale of the property at 55 Market Street for S$216.8 million has been completed. The sale was announced on 10 July, it said in a filing to SGX after the market close on Friday. Maxi-Cash Financial Services said on Friday that Ng Leok Cheng, its CEO and executive director, acquired 1.092 million shares in the pawn-shop operator via the vesting of share awards. That raised Ng’s direct interest from zero to 0.11 percent of the company’s shares, it said in a filing to SGX on Friday after the market close. Stamford Land said on Friday that it bought back 76,800 shares in the market at S$0.485 each for a total consideration including other costs of S$37,304. Since the July 2018 start of the buyback mandate, Stamford Land has bought back 3,232,200 shares, or 0.374 percent of the issued shares excluding treasury shares at the time the mandate began, it said in a filing to SGX after the market close on Friday. TEE International said on Monday that its joint venture TEE Medical on Saturday completed its acquisition of the medical waste treatment business from Sembcorp Environment. TEE Medical is a joint venture which is 45 percent owned by TEE Infrastructure, a wholly owned subsidiary of TEE International, with the remainder held by Asia Enviro, which is a special purpose vehicle of Dymon Asia PE, it said in a filing to SGX before the market open on Monday. TEE Medical was formed specifically for the transaction, which was announced in May, and is considered an associate, it said. In a separate filing to SGX on Monday, Sembcorp Industries also said the divestment to TEE Medical of the assets and businesses under its medical waste division in Singapore had been completed. In an SGX filing, ESR-REIT requested that the trading halt on its units be lifted on Monday before the market open. In a separate filing on Monday, Viva Industrial Trust’s manager requested the trading halt on its units be lifted. Japan Foods Holdings said on Friday that it bought back 20,600 shares in the market for S$0.495 each for a total consideration including other costs of S$10,256. Since the July 2018 start of the buyback mandate, Japan Foods has bought back 81,400 shares, or 0.047 percent of the issued shares excluding treasury shares at the time the mandate began, it said in a filing to SGX after the market close on Friday. This article was originally published on Monday, 3 September 2018 at 7:14 A.M. SGT; it has since been updated to include items on OCBC, Viva Industrial Trust, ESR-REIT and Sabana Shariah Compliant Industrial REIT.